All transactions are safe and secure with a reliable history in online purchasing behind each of our associates. 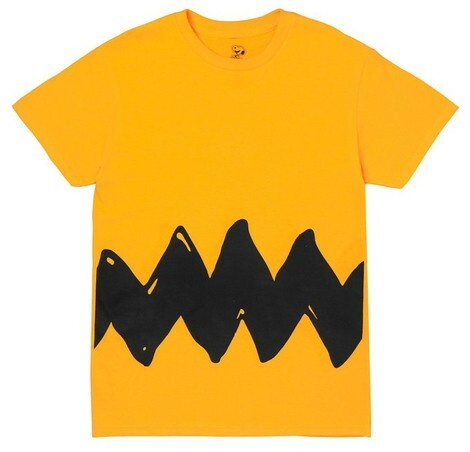 Buy the Charlie Brown Zig Zag t-shirt to own Peanuts clothing and merchandise. While most people would not want to be Charlie Brown because of his unwavering bad luck, some would. This yellow Charlie Brown Zig Zag shirt is for those people who want to be the charming little boy that has touched millions of people throughout the years. Pick up some Peanuts books and Charlie Brown clothing to remind yourself of why he keeps a place in your heart. For the complete look, grab a Charlie Brown Christmas tree available below. In addition to the Charlie Brown Zig Zag tee above, browse the Peanuts Clothing Gallery for more apparel like men's and women's clothes, kids shirts or hoodies.